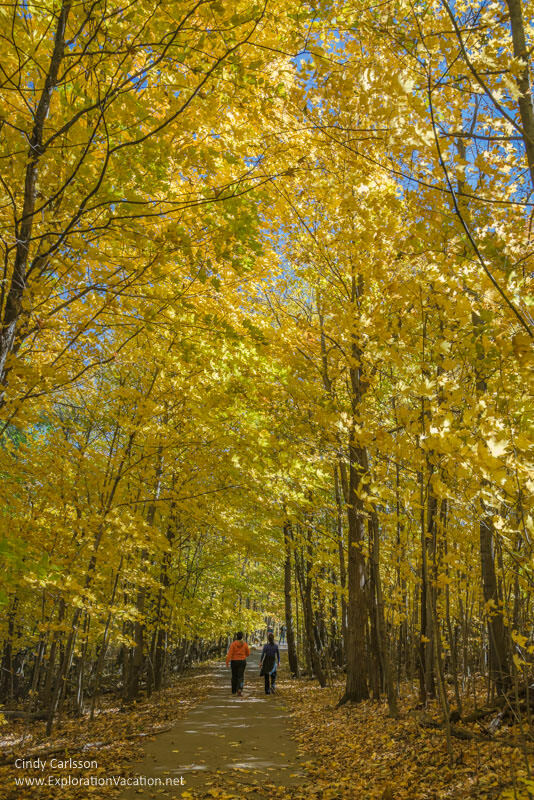 Fall in Frontenac State Park is a wonderful time and place to enjoy the brilliant colors of Minnesota’s mixed hardwood forests. Fall in Minnesota can be spectacular, and one of my favorite places to enjoy the changing colors is Frontenac State Park. Wrapped around the tiny town of Old Frontenac, the park has several distinct segments. It includes a variety of ecosystems and has shoreline along the Mississippi River where it becomes Lake Pepin. Despite all the hiking options available at Frontenac State Park, we return time and again to the Bluffside trails that snake above the Mississippi River. These trails always offer wonderful fall colors, with views of the river as a bonus. This area is mostly a maple forest, so in fall the sky above is filled with yellow and orange, the ground below a soft pillow of faded color. It’s hard to imagine a more idyllic setting on a perfect fall day. 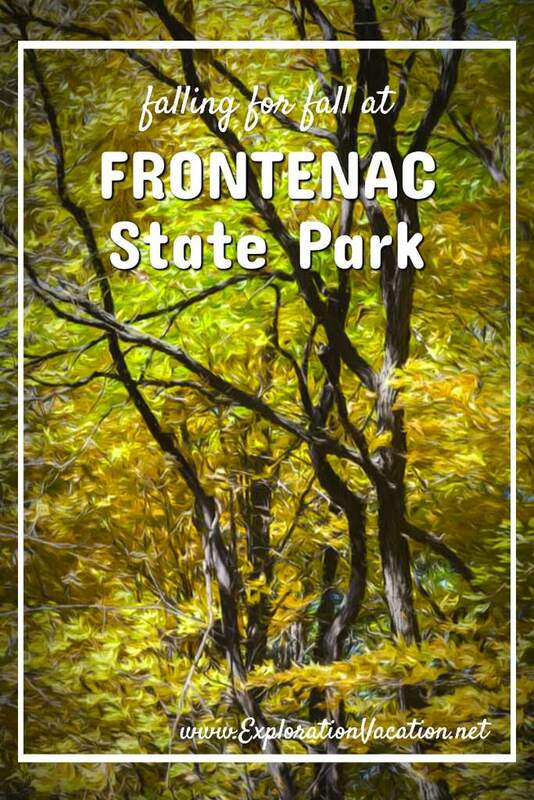 Visitors seeking Frontenac State Park’s best fall colors usually head to the trails in the maple forests along the Mississippi River bluff. However, the park’s native prairie and oak savanna also put on a colorful show. And the park’s most brilliant colors are found in the transition zone where the oak savanna and maple forest meet. While the Bluffside trails provide views of the river, the picnic area at the top of the bluff offers both great views and a place to stop for a snack! Minnesota’s Frontenac State Park is located along the Mississippi River about an hour south of the Twin Cities of Minneapolis and Saint Paul. But expect the drive to take longer. It’s a scenic route once you get to Hastings, with lots of places that will tempt you to stop along the way. While fall is my favorite season in Frontenac State Park, this is a park for all seasons. There is good bird watching throughout the year – and especially during the spring and fall migration. Spring and summer bring colorful wildflowers. The shady trails are also perfect for a summer escape and or winter cross-country ski outing. A Minnesota State Park vehicle permit is required in Frontenac State Park. Permits can be purchased when you arrive at the park. Frontenac State Park makes a nice stop on a fall leaf tour. However, it is also a beautiful place to spend a couple of days. That’s especially true if you are a bird watcher or photographer who wants to be in the park at sunrise and sunset! The park has over 60 campsites, including a few cart and backpack sites. There are also several state forest campsites in the area, including a site for horse camping. Alas, there are no camper cabins. Outside the park, the nearest lodging is about five miles down the road in Lake City. A vacation-worthy destination in and of itself, there are a range of options available in and around town. 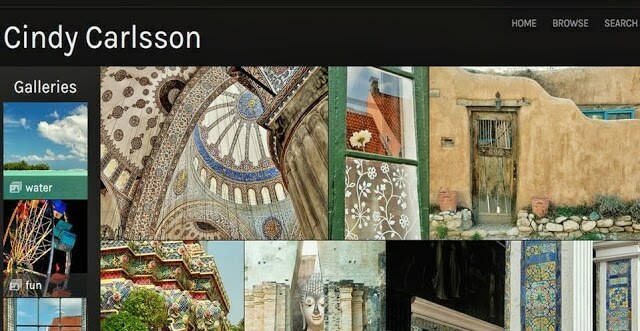 Find the best deal, compare prices, and read what other travelers have to say at TripAdvisor (affiliate link).